A few of our collaborators. For CAIN, CIPAC provided software development and data analysis services for the CAIN-1 initiative, examining the vascular biology of atherosclerotic plaque. For MITNEC, CIPAC is aggregating imaging data and performing analysis on MR imaging sets. 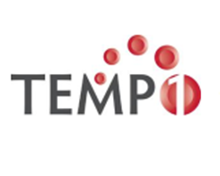 Data management, including account administration, database quality control, connection and troubleshooting of remote site data sharing were accomplished for both the TEMPO-1 and ESCAPE projects for the Calgary Stroke Program.